Huge apologies to the ladies at TLC Book Tours for not getting this posted yesterday! I actually had it ready before I got the email with the link info and forgot to get it finished up when the email arrived. From childhood fame to a high-profile marriage (and divorce) to teen motherhood to the sexism that threatened to end her career before it started, Amanda shares the good, the bad, and the messy of her life, synthesizing lessons she’s learned along the way. Through it all, she offers an original perspective as a feminist on the front lines of celebrity culture. 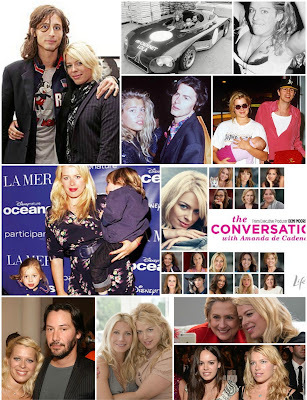 Amanda de Cadenet is the most famous person I've never heard of: she is the daughter of famous race car driver Alain de Cadenet; dated Keanu Reeves and Jack Nicholson; pals around with Gwyneth Paltrow, Chelsea Handler, and Courtney Love; she's been married twice to rock musicians - first to Duran Duran's bassist John Taylor and currently to The Stroke's bassist Nick Valensi. She's even hosted a popular show on Lifetime interviewing all kinds of famous women about serious topics. And yet...never heard of her until I picked up this book. 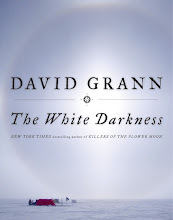 So I wasn't looking for a tell-all group of essays when I agreed to review this book. I really was just looking for a book of essays about women's issues, which seems to be one of the few kinds of books that's really working for me these days. Ms. de Cadenet has certainly lead an interesting life, a much messier life than a privileged young lady might have been expected to live growing up. But when her parents divorced when de Cadenet was a tween, it had a profound effect on her. Let's just say, she went a little wild, she even spent time in juvie. Some really great things happened to her; some really awful things as well. So de Cadenet has a lot to draw on in terms of life experiences. 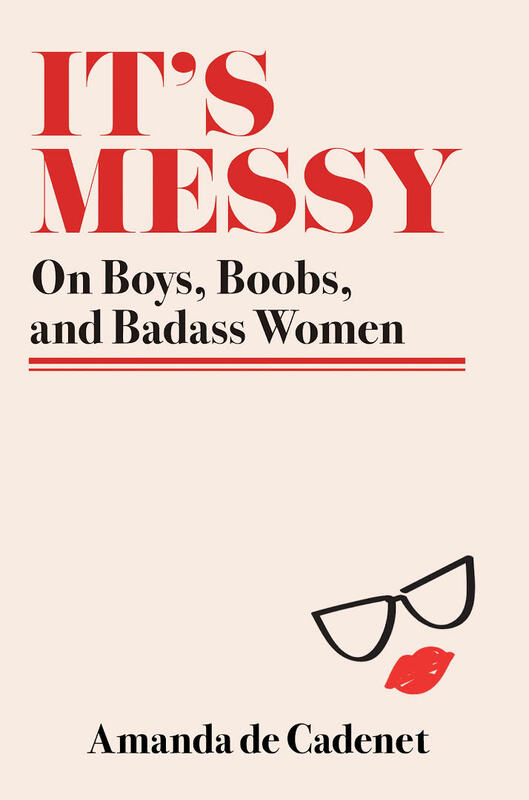 She writes knowledgeably about obsessive love, self-image, postpartum depression, parenting, friendships, body image, being a working woman, and sexual assault. de Cadenet is clearly a woman who doesn't pull punches. When she refers to the first time she was sexually assaulted, she is blunt without being salacious. She calls out women for not being supportive enough of each other and men and women for being more concerned about a woman's appearance than about her mind. She is honest about her battle with postpartum depression and the effect of childbirth on her body. de Cadenet is an advocate of a "to each her own" way of life when it comes to sexuality and choosing parenthood. I wasn't necessarily comfortable with all of the choices Ms. de Cadenet has made but we all make our own path based on our own experiences and it's not for me to judge. She made me wish I'd done a better job raising my daughter to choose her own path. I'm not sure she breaks any new ground in this collection but it's always good to reinforce the idea that women deserve the right to make their own choices, to be treated as equals, to be judged on merit not appearance...to not be judged at all for the choices we make. Sometimes de Cadenet gets a little too caught up in name dropping although it would be hard to understand what she went through as a very young wife if you didn't know that she was doing it so much in the public eye. Knowing that she's been surrounded by famous people all of her life also makes it easier to gauge her fan girling of Hilary Clinton when she both opens and closes the book talking about her 2016 interview of Clinton. 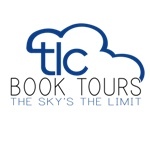 Thanks to the ladies at TLC Book Tours for including me on this tour. I'm headed over to watch episodes of The Conversation now (the show de Cadenet did on Lifetime) to hear more about what women think about being women. For other opinions about the book, check out the full tour. Find out more about Amanda at her website, and connect with her on Facebook, Twitter, Instagram, and YouTube. I've never heard of her either. But it sounds like an interesting perspective of another woman's life. I finished of Roxane Gay's memoir Hunger a month ago and it's one of the best I've read in a long time. I need to get a review some time soon. Wonderful review! 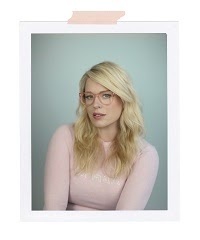 I was glad to hear you didn't know who Amanda de Cadenet was either before reading this book. It's the second celebrity book I've heard about today in which I had no idea who the celebrity was. I love the author's idea behind The Conversation, and will have to dig a little deeper to learn more about it--maybe catch some of the show. This book sounds interesting. Probably not something I would have noticed had you not reviewed it though.